Belmopan. April 10th, 2017. 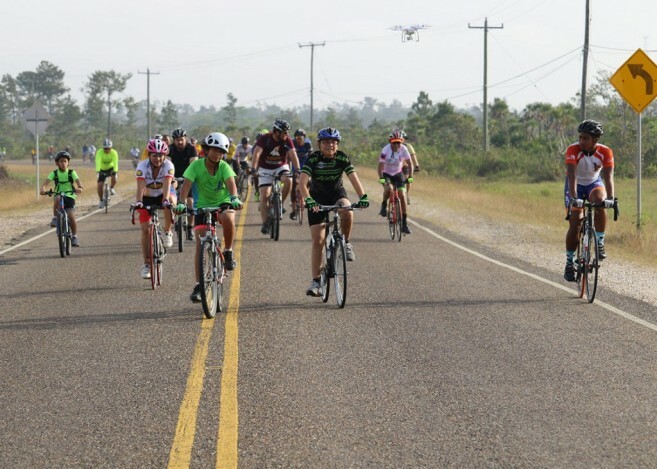 The CEO Caucus of the Government of Belize takes this opportunity to express its sincerest gratitude to the public, partners, donors and members of the cycling community who participated in “The CEO Caucus Cancer Treatment Ride 2017: We’re with You” which took place on Saturday 8th April 2017. The CEO Caucus announces that to date the 2017 Ride raised over $70,000. The final amount will be announced later as the initiative is still receiving pledges. Proceeds are for the Belize Cancer Treatment Center Dangriga. We extend our thanks to all those who contributed to our successful ride. Special thanks to all our donors, riders, volunteers, partners, all the professional cyclists of the Cycling Federation of Belize, the Officers of the Belize Coast Guard, Police Department, Department of Transport, Belmopan Traffic Department Highway Patrol, the Ministry of Health’s Emergency Team, Staff of the Ministry of Natural Resources, the Ministry of Transport and NEMO, and the Belize City Council for their assistance with logistics and coordination. A beautiful day combined with over two hundred enthusiastic riders and over 100 hardworking volunteers made for a fun and worthwhile event. The CEO Caucus of the Government of Belize once again expresses its heartfelt thanks to all of you for uniting with us to support a worthy fundraising initiative.